The year is closing in on us quickly, and before you know it, it will be time to start getting all your paperwork in order to file your taxes. If you run a business of any size in Arizona, that means you will also have to account for your employees’ health insurance coverage. You will need to complete a number of forms and provide documentation. Some businesses were confused about how to report offers for COBRA coverage in the past. The IRS has tried to make this process a little easier by providing new codes for reporting COBRA offers. The codes are available for offers to current employees, not employees who no longer have access to health insurance coverage because they have left the company. Similarly, the IRS has introduced new codes to indicate offers of coverage for employees’ spouses. The codes also allow employers to indicate when the coverage was offered. These codes are entered on Form 1095-C. Work with an accountant or tax lawyer to understand how to use these codes and provide the needed information. The “employer” no longer files the forms outlining employee health care coverage options. Now, the “ALE member” files those forms. The business is still filing the forms, but it is referred to as the ALE member. In the past, if you could show that you made a good faith effort to get all the information in by the deadline, you could have the penalties waived. This year, you must get everything in by the deadline or face the penalties. There will be no exception for making a good faith effort. However, you may be able to avoid penalties if you can show “reasonable cause” for why you did not turn information in on time. Last year, employers could file for non-calendar-year transition relief for plan years starting in 2014. This year, employers will not be able to apply for that relief. In the past, the relief lowered the mandatory coverage offering from 95 percent to 70 percent of full-time employees, and it exempted businesses from offering coverage for dependents. The relief is available for non-calendar-year plans that end in 2016 but not for calendar-year plans. The deadline for filing the forms with the IRS is Feb. 28. If you are filing electronically, the deadline is March 31. The deadline for providing statements about health care coverage to your employees is Jan. 31. Last year, the penalty for failing to file forms with the IRS by the deadline or sending forms to employees by the deadline was $250 per return. This year, the penalty has been increased to $260. This can add up fast if you fail to provide forms to a number of employees. However, the IRS has capped the penalties at just under $3.2 million. Tax filings and forms can all be quite complicated, especially for business dealings. It is important that you work with an experienced tax lawyer to ensure that you are meeting your obligations so that you don’t rack up penalties. Silver Law PLC in Arizona can help you understand your responsibilities for reporting employee health insurance coverage as well as your other business tax obligations. 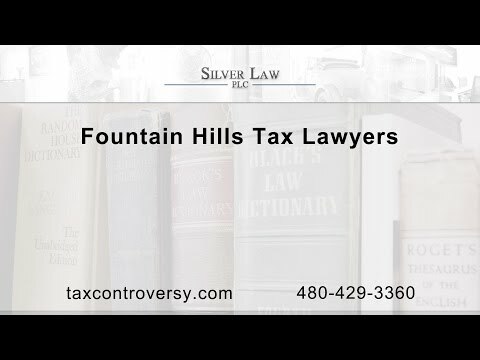 Our experienced tax lawyers in Fountain Hills work with individuals and businesses of all types and sizes. We represent clients in tax litigation for civil and criminal matters, in audits, in collections, in foreign tax matters, and more. Call us in Arizona today to learn more about how an experienced tax lawyer can help you.